Knowing how to choose fresh fish or seafood is a vital skill. This can prevent you from buying a stale fish which in turn can cause some major stomach upsets. The skin of a freshly caught fish is bright and colourful as it displays similar markings to when it was alive. The more time that passes, the more the colour fades. A fresh fish should smell like clean water or like cucumbers. 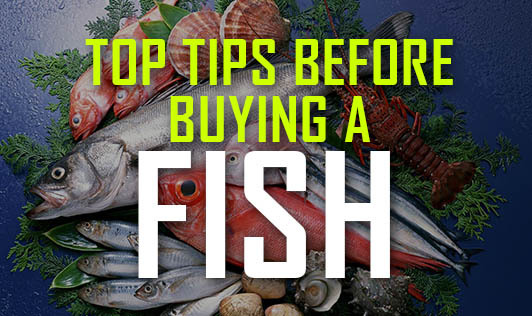 Under no circumstances should you buy a nasty smelling fish. Cooking will not improve it. The eyes are the window to a truly fresh fish, for they fade quickly into grey dullness. Dull-eyed fish may be safe to eat, but they are past their prime. The texture of the skin should under no circumstances be slimy. It should be moist as fresh fish still contains a lot of water. When you touch the flesh of the fish it should feel firm and the impression should bounce back. Always buy fish from a reputed or a trustworthy seller. The absolute bottom line is that a fish shop should not stink. Fantastic fish can be had at a farmer's market stall, a hole in the wall or in a flashy boutique, but none should smell.